Resorbed or shrunken jaw bone. Shrinking Jaw Bone: What is it and what causes it? Shrinking jaw, bone resorption or jaw bone atrophy is the reduction of jaw bone mass over time, and a common result of long term missing teeth or denture wear. It can occur in the upper jaw (maxilla) or lower jaw (mandible). Chewing on teeth stimulates the jaw bone and keeps it in full shape. However loss of teeth leads to lack of stimulation, causing bone shrinkage. If you wear dentures, the movement of dentures actually tends to accelerate jaw bone shrinkage. 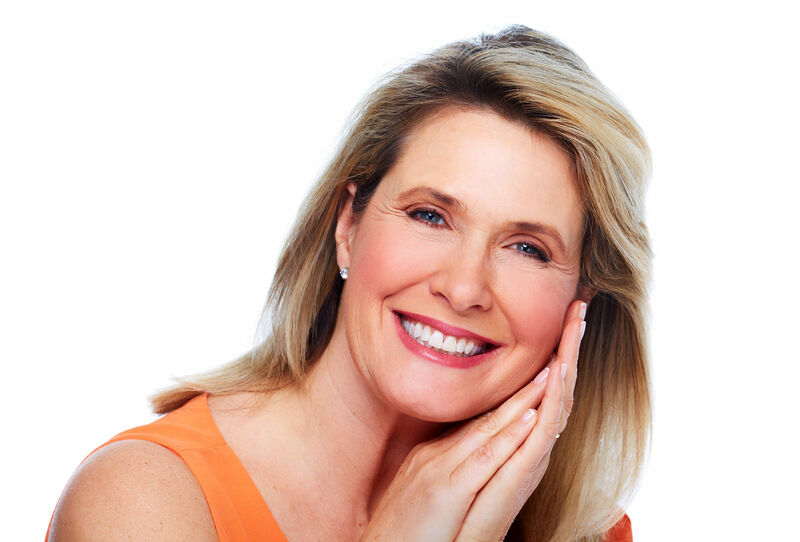 You may notice facial shrinkage and an aging effect, as well as loosening dentures. Other than missing teeth causing atrophy, jaw bone loss can also be caused by gum disease, oral cancer or other pathology. What results from shrinking jaw bone? Facial changes take place from jaw shrinkage. This can be seen by taking dentures out and looking in the mirror. 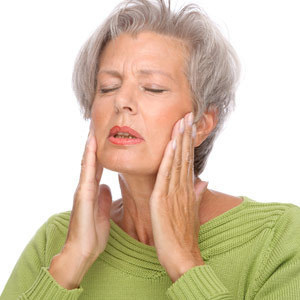 Over time, you will likely notice your mouth seems to collapse into the face, the chin becomes more pointed, and deep wrinkles form around the mouth. This is all a result of missing teeth causing jaw bone atrophy (shrinkage). Eventually, jowls form from the detachment of facial muscles from the jaws. You may also notice that your dentures require relining or replacement as the jaw bone and gum keeps shrinking; You may develop pain, denture sores, food trapping or the need to use more denture adhesives to help the dentures stay in place. In the lower jaw, the bone can shrink all the way down to the tip of the chin and cause real problems for dentures. In the upper jaw, it can shrink all the way up to the nose and sinuses, making a flat palate (roof of the mouth) and cause loose or dropping dentures. With missing teeth, the maxillary sinuses can also expand, resorbing away all remaining bone in the jaw. We see many Perth patients who present to us because they have lost teeth for many years, and now are faced with a collapsed facial appearance and jaw bone shrinkage. We carry out predictable implant solutions for these advanced bone shrinkage cases that may have been until now not managed successfully. Do I need bone grafting or can I have dental implants with an atrophic (shrunken) jaw? It depends, but often not. These days at our clinic, most of our full teeth replacement solutions are conveniently, graft-free and single-procedure. We find graft-free solutions, where possible, to be more convenient, comfortable and cost effective for patients, often with immediate results. Bone grafting options – Bone grafting is a procedure to build back the missing jaw bone (width or height) so that it can receive implant teeth. Bone grafting can be a simple or a more complex oral surgery procedure, depending on the extent of bone needed. In atrophic upper jaws, rather than building bone down (block bone augmentation), we have the opportunity of building it up into the sinus spaces above the upper jaw (maxillary sinus elevation or sinus lift). Sinus lifting can be the most predictable and comfortable bone graft option in the upper jaw, as it does not add outer thickness, so whilst the graft settles in, dentures can be worn comfortably without interfering with the graft. Graftless options – All on 4 may often bring an immediate smile replacement solution where dental implants can be applied without applying bone grafting. Since bone grafting requires healing time and has its own risk of complications, we often recommend graft-free implant solutions to patients even with lack of jaw bone, whenever possible. In the upper jaw, this can be achieved through All On 4 Plus variations involving zygomatic implants, nasopalatine implants and/or pterygoid implants – all types of dental implants for upper teeth that can be feasible for many patients with lack of upper jaw for standard implants. In the lower jaw, despite severe bone loss, the chin section can still often allow for implants that are able to support a full teeth replacement with implants such as All On 4 or Locator implant dentures. Whether it’s immediate teeth with graft-free implant solutions, or bone regeneration with grafting, our advanced reconstructive solutions can be performed in the deep comfort of IV Sedation, allowing you to achieve your new implant smile outcomes without discomfort, anxiety or memory in the procedure. Perth’s official All On 4 Clinic – Complete Implant & Sedation Dentistry, is run by Dr Misagh Habibi, who has a particular interest, clinical and academic background in implant dentistry and implant related oral surgery. He has qualified with a Master of Oral Implantology amongst other accreditations, and keeps on top of the latest innovations in this area including his own research, including the innovation of the All on 4 Plus Titanium technique. It builds on the renowned All On 4 implant technique, but with superior strength immediate teeth results.